Located in Ciutat Vella, Hotel Rec Barcelona - Adults only is adjacent to Arc de Triomf and within a 10-minute walk of other popular attractions like Palau de la Musica Catalana. This 3-star hotel has 99 rooms and welcomes guests with a bar/lounge, free in-room WiFi, and a rooftop terrace. For your convenience, a continental breakfast is served for a fee on weekdays from 7:00 AM to 11:00 AM and at weekends from 7:00 AM to 11:30 AM. At the end of the day, the bar/lounge is a great place to grab a drink. A flat-screen TV comes with satellite channels, and guests can stay connected with free WiFi. Other standard amenities include a coffee maker, a safe and a desk. Guests of Hotel Rec Barcelona - Adults only enjoy a rooftop terrace, free WiFi in public areas, and a seasonal outdoor pool. Self parking is offered for EUR 25.00 per night. Staff members are on hand to provide dry cleaning/laundry services, tour or ticket assistance, and luggage storage. 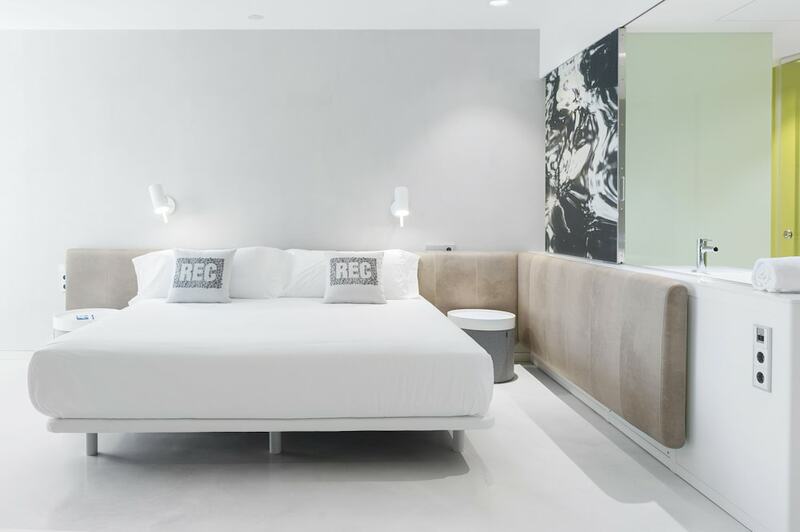 Hotel Rec Barcelona - Adults only features a seasonal outdoor pool, a rooftop terrace and tour or ticket assistance. Wireless Internet access is complimentary. Guests can unwind with a drink at one of the hotel's bars, which include A poolside bar and A bar/lounge. This Barcelona hotel also offers dry cleaning/laundry services and a lift. On-site parking is available (surcharge). Continental breakfasts are available for a surcharge on weekdays between 7:00 AM and 11:00 AM and at the weekend between 7:00 AM and 11:30 AM. Cash transactions at this property cannot exceed EUR 2500 due to national regulations. For further details, please contact the property using the information in the booking confirmation. Children aged 17 years old and younger are not permitted at this property.